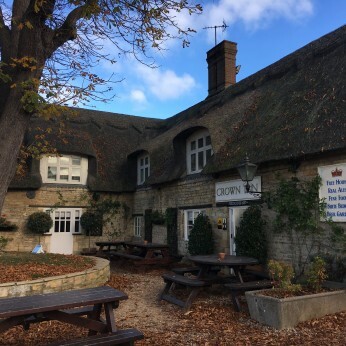 A country inn with five star bed and breakfast accommodation, serving locally sourced food and an excellent selection of beers and wines, in the beautiful village of Elton, near Peterborough. The Crown Inn is a family-run country inn offering home cooked food, five star bedrooms, a great selection of beers and wines and a very warm welcome. Owner Marcus Lamb has worked in restaurants and hotels throughout the UK, Europe and America. His passion for excellent food made from locally sourced, seasonal produce is the focus for this public house, alongside excellent customer service. Marcus is particularly passionate about cooking with good quality, fresh fish. The five-star rated rooms are all uniquely decorated and furnished to a very high standard, offering a tranquil place to relax after a busy day’s sightseeing. The Crown is also at the heart of the local community and organises numerous events throughout the year for both locals and visitors to enjoy. As a family-run business, we are delighted to welcome children and have highchairs and nappy changing facilities available, as well as a delicious children’s menu. As you would expect in this beautiful countryside, we are proud to be a dog-friendly pub and would be happy to welcome your dogs in to our bar, on our decked terrace or at the seating area in the shade of our beautiful horse chestnut tree.